Foreign Diplomat is a person representing his native country in any outside country of the world. He is a well-honoured and respected state deputed ambassador of his own country and leaves a true impression of pride and reputation on others. The Expatriates or Expats are short-termed living immigrants in foreign countries as regular citizens. They also possess a permanent living status but keep their stay for a shorter period of time to return back to their homeland. The foreign diplomat provides a clear reflection of his own country. The core purpose of international consulates is to build and maintain strong friendly long-lasting relationships with other countries. They also help promote mutual trade and commerce activities between the two countries. The foreign consulates have a minimum living stay of three years in any diplomatic country of the world. As for the lifestyle, mostly the foreign convoys and ambassadors are offered with an exclusive luxurious official protocol. Tanzania is also a friendly country in promoting foreign diplomacy and offers all sorts of excellent facilitation to all of its diplomats. The Diplomats in Tanzania are provided with all comforts and privileged luxuries. 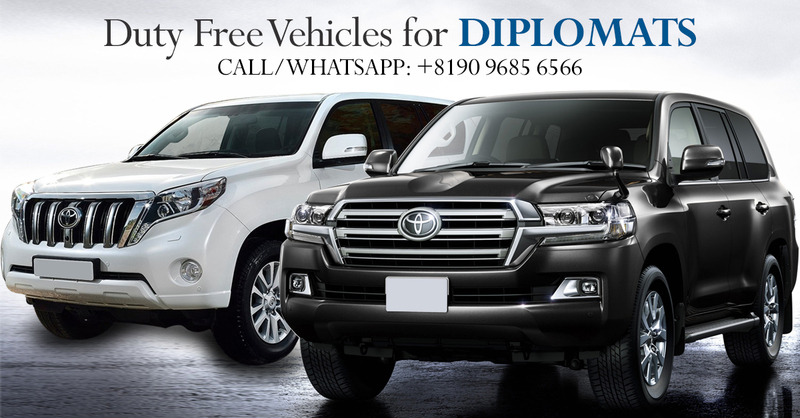 The Foreign Diplomats are also provided with a specialized fleet of luxury cars such as Toyota Land Cruiser, Toyota Premio, Nissan X-Trail, Toyota Land Cruiser Prado, Toyota Allion, Toyota Hilux Revo, and the Nissan Patrol. Some other convoy cars are BMW7, Mercedes Benz E-Class, Toyota Camry, and the Toyota Fortuner. All of the lavish diplomats’ cars in Tanzania are completely duty-free with no additional taxes and can be easily accessed by foreign diplomats anywhere in the world. All of these popular luxury cars offer a sheer symbol of elegance and rich extravagance. These cars provide an elite-class comfortable and pleasurable driving journey for the foreign national diplomats in Tanzania. Every Foreign Ambassador keeps his own preference and choice of luxurious cars in Tanzania with the national flag attached to them. The Foreign Diplomats enjoy a lavishing code of conduct style in any other delegated country of the world. Car Junction is the leading New & Used Japanese Cars Exporter with the strong global presence in all African, Asian, and the Caribbean regions. The exclusive exporting countries are Zimbabwe, Zambia, Botswana, Nigeria, Uganda, Mozambique and Tanzania. We have been serving diplomats for more than decades by offering them top quality luxury brand new cars. We also deliver special car rental and pre-sales services for the foreign diplomats and expats in Tanzania.